we all know that eventually david will die. he is a very good charector so I feel that his death should be somewhat poetic. another possible death for me would be that he sacrifices himself in order to create the perfect organism. mabye he has a facehugger latch onto him to get the biomachanical look of the original, or uses so much of his DNA in his tests that he dies. I even heard one theory that he is the space jockey that the crew of the nostromo finds on LV 426.
do you have any thoughts on how he should die? 18 Responses to how should david die? I agree about being destroyed by his creation. I would add that he both understands this irony and fears dying just before he checks out. SJ is a possibility. Given the fact that those eggs are bio-mech 1979 Alien. So the eggs have not yet arrived on LV426. It is not my dream scenario but better than they lose continuity and put another race in the seat or Engineer without them prior getting the eggs. Anyways, David. i want him to die. i do not want him to be MU TH UR or Ash. I would like to see his own creation kill him. That is my most favoured too i think. Walter still has some story in him for me. i would even have walter do it. or an engineer so long as he is dead and gone i happy. Have him killed by the son of God, the Ultramorph. Man these ate stupid cliches. Rs should have courage to not lead these into the original and make David wipe out all life in the galaxy so that he would be alone forever. Or even better to beheaded and to spend his restvof immortality as such. Wow, great topic, Timmy the ultramorph! I don't have a clear answer, but this is a fun topic to contemplate! "I agree about being destroyed by his creation. I would add that he both understands this irony and fears dying just before he checks out." "Or even better to beheaded and to spend his restvof immortality as such." Also love it! But, where should his fully conscious severed head wind up? For the rest of forever? (I can't get behind your wiping out all life in the galaxy idea though, only because it would disrupt the series' continuity pretty badly.). Continuity is already in shambles so why not blow the whole thing up. The severed coild wind up anywhere, could the source of the original signal. I don't care well you know after what. I don't want him to die but I think the engineers or maybe Walter (assumed he's still alive) want him dead. Maybe tear is head off again? I bet one of the engineers will end him. I want him to be Reprogrammed and I want his old hair. If you ask me, one Engineer should give him a big bear hug that causes his head to explode. I want David to kill himself. He would kill himself because he experiences something we never thought David would experience. That would be deep regret. I want David to feel so sorry for the things he has done to people and in the end, kills himself. I originally thought he would allow a facehugger to kill him, but according to A:C, the Xeno strain doesn't try to alter machinist type characters. Even the Neomorph that attached Walter did so in self-defense. Still, an impregnating is apparently done only with biological organisms. All that aside, I do want David to cut his own cord and shut down forever at his own willingly hand. 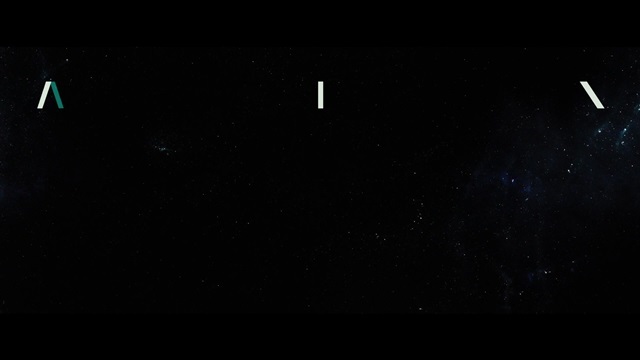 That, to me, is the only death I would be happy with and it would be the most unexpected and unique death in the franchise, expect when Ripley kills herself in Alien3. Still, David could theoretically live forever and with all of his ambitions, a suicide would be quite a page turner. Even if David doesn't die that way, it wouldn't make the movie bad, but I think I would be most satisfied if David self-terminated. That's unless I like other suggestions that people here come up with here or I come up with another later. Maybe the writers for Alien: Awakening got a real good death for David. I hope so. I would like it if David did die and didn't return in the future Alien franchise movies that will take place after Alien: Resurrection. I would make him the hero. Have him find absolution. Giving his life to save someone. The Xeno's are the 'evil stars' of the series...The star beasts. perhaps he learns to control his lust and obsessions where he failed with Shaw, to eventually save Daniels? Timmy - A poetic death, like Roy Batty, would be highly cliche and contrived, but then again so are all of Scott's films. Shaw: I need to know why they created us and then wanted to kill us. I would like to express my idea according to this question. David knows humans according to his experience, so he feels his creation as a fierce and dominant race underestimating humans. He is the shepherd of his dogs, he dominates them, I do not think his death will come from this . I do like the idea of a suicide, that would be an interesting turn! Still, I think it's either death by Xeno, Engineer, or human. I mean, depending on the story they choose for the next adventure(s), all three would make sense and should be very meaningful. I vote for David sacrificing himself to complete the bio-mechanical Xeno or complete some crazy experiment. ~The end will be an irony, and in his most 'human moment', he will send out the warning not to engage the craft... finally understanding the true meaning behind Ozymandias (something he wickedly misinterpreted in AC) - "Look upon my works, ye mighty, and despair" is not a testament to power within the poem, but in fact, one of pity within the downfall of hubris.